It all started as a joke. Two water sports addicts on a smashing boat having a laugh. And this is how Xtreme Wake was born in 2013. 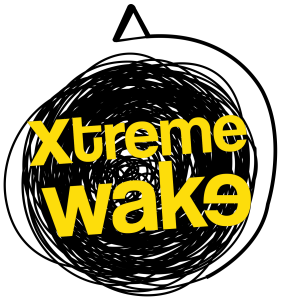 Xtreme Wake is now much more than a Dubai based Wakeboarding School. It’s a community, A place where friends turn into family. We welcome riders & students from all over the world and carry the best equipment all-free to use, from DUP boards to Body Glove life jackets, wet suits and vests. Our goal is to grow participation and interest in water sports across the region, and therefore grow our community and attract enthusiasts, thrill seekers and professional riders worldwide. If you’re bored with shopping malls and safari trips, join our outdoorsy family of dedicated coaches and passionate water sports amateurs. All you need is a bathing suit and a ride to Dubai Marina or Ghantoot. Leave the rest to us! Two childhood friends and sea addicts Karim Aly & Ahmed el Shoky founded Xtreme Wake in March 2013. Ever since they can remember, both partners spent every spare minute they had riding the waves. They evidently passed on the water bug to all their friends, and decided to take on a new challenge to set up a platform that would include a wider Wakeboarding and Wakesurf fan base. Did you know we also rent yachts? Yacht Parties, Corporate Events, you name it, we have a yacht for it! Thank you so much for the hospitality, you guys are the best!